www.cosc-cumbria.org.uk: William Wordsworth and a Allerdale COSC have proved they had something in common - the ability to see beyond a disability. Allerdale COSC joined with the Wordsworth Trust to look at the way disabilities have been treated down the years. The Parkhill Poets, have been involved with the Wordsworth Trust for a number of years. Member, Kevin Pardell, who previously wrote a guide for dealing with the disabled, stars in a film looking through disability at the person beyond. His message was: "Don't be afraid or shy away from me. If you have a question, ask me." Wordsworth's beloved sister Dorothy suffered disability in older age and both wrote on the subject. 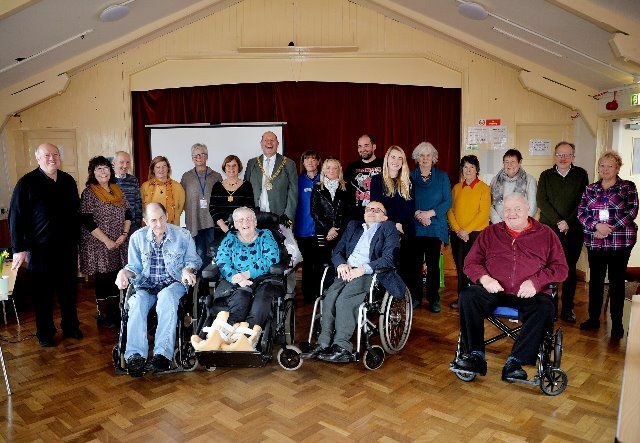 Perceptions and reflections old and new came together in the film and at the event in Mawbray last week where COSC and Wordsworth Trust joined with the Solway People of Poetry and Allerdale mayor and mayoress, John and Heather Crouch..